An early morning crash at the intersection of Hwy 1 and the Bypass sent one woman to Rapides Hospital with a reported leg injury. 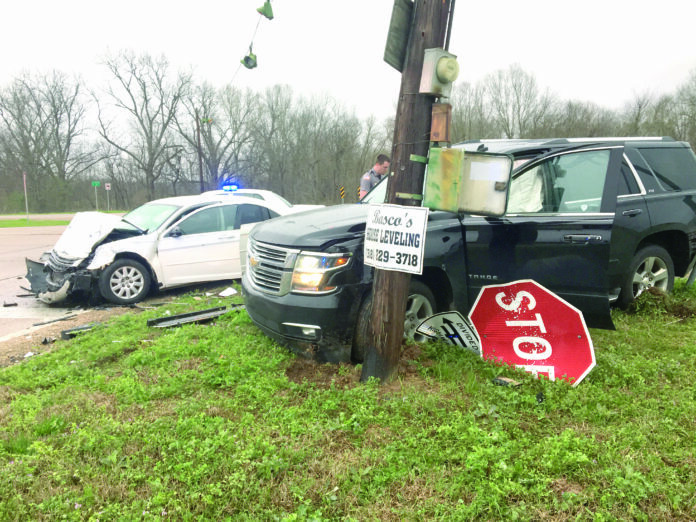 The crash involved a white 2007 Chrysler Sebring operated by Artisha M. Waldrup, 27, of Natchitoches and a black 2015 Chevrolet Tahoe operated by Taylor, S. Roberson, 17, of Natchitoches. A second accident occurred just down the road in front of the Natchitoches Times office at the same time. No injuries were recorded in that incident.